Willow Creek placer gold was first discovered in 1896. Robert Lee Hatcher staked the first hard rock claim in 1906. In the ensuing years, several mining operations began. In 1938 the Alaska Free Gold Mine merged with Independence Mine to form the Alaska Pacific Consolidation Mining Company (APC). In 1941, with 83 mining claims, APC was the largest producer in the mining district employing over 200 workers, opening nearly 12 miles of tunnels and producing 34,000 ounces of gold. After World War II, mining activity declined until the mine was closed in 1951. The abandoned buildings and the surrounding 271 acres became Independence Mine State Historical Park in 1984. 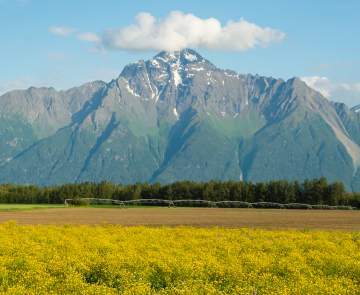 The Alaska Division of Parks operates Independence Mine State Historical Park. With over 13 structures (built in the late 1930s and early 1940s), this abandoned mining camp was entered into the national Register of Historic Places in 1974. The visitor center (formerly the mine manager&apos;s home) is open 10 a.m. to 7 p.m. from early June through early September. 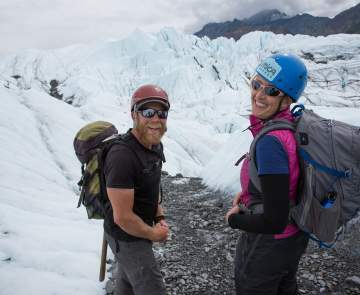 The Alaska Natural History Association offers guided tours. 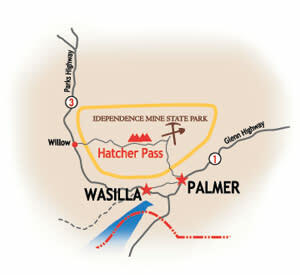 For a map of Independence Mine, click here.